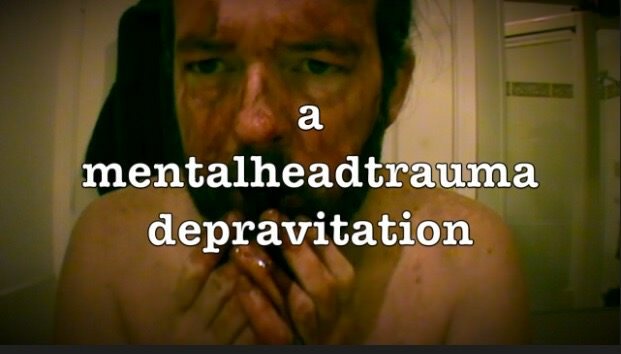 Short Films From the UNDERGROUND is a thread to showcase any short films that have grabbed you, be it they are fucked up and gory or they just touched you at a deeper level. Along with sharing us your film that grabbed you maybe even share some tidbit on why you like it or whatever. Even movie poster art and stills etc. Whatever grabs you and you feel is worthy. Naturally you may just add the film and leave it at that...all cool. Thought this was a nice little add. My only complaint was that they should have shown more of what was happening in the bathtub! Aftermath (acto necrofilico) This a brilliantly done short from Nacho Cerda. Very well made and one of the movies that has influenced me into wanting to do my own short movies! GENESIS A very beautiful and sad short film from Nacho Cerda. Most people I know seem to apreciate this a lot more over AFTERMATH. For me they are just two different viewpoints of the ending of a loved ones life. It goes deeper but this is not the time for that. Beautifully said and most certainly a 10/10! It was late when I added this so wasn't thinking truly deep thoughts hence my description, thanks for your one as it is spot on. DOLL BOY begins with a windowless panel van pulling up to a run down warehouse. A demented-looking clown (who really enjoys his work) opens the sliding door of the van to reveal eight people bound, gagged, and terrified. He takes them out of the van and throws them into the warehouse. Well if you thought the clown was scary and disturbing you should see what's waiting for them inside the warehouse!! 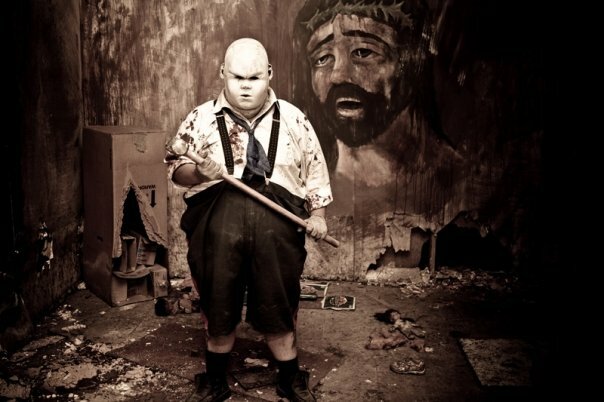 As the people get used to the darkness and begin to help each other break loose from their shackles, they are attacked by the titular Doll Boy; a huge, hulking psycho wearing a very creepy mask that looks like a baby doll. A normal guy named Max (Conor Sweeney) and his mentally challenged, telekinetic, monster-like brother Karl (Matthew Kennedy) live in a world conceived by night terrors. Apparently Karl’s been very naughty in the use of his powers and Max can’t take it anymore. 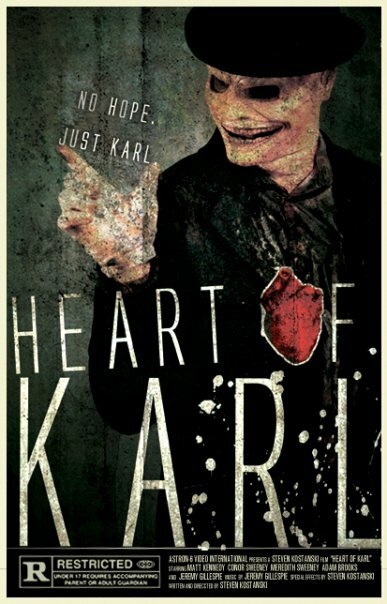 He has Karl committed to some sort of bizarre institution, and keeps Karl’s heart (for safe keeping?). Max has a change of heart and goes to the institution to return Karl’s ticker and bust him out of the dank hellhole. Turns out that this “hellhole” literally fits the description of the word and Karl must use his terrible power to get he and his brother out alive. Wow, I need to see that loved the trailer! From the director of "Begotten", this short little film is purportedly the unofficial sequel to Begotten. I hope you all enjoy! No problem man. It's probably best viewed on acid or while intoxicated. Overall, it's all about the visuals here.